Hair color can give your locks a completely different look. However, permanent hair dye has damaging chemicals and can take months to fade. A good way to experiment with hair color is by creating your own temporary hair color gel. Not only will these mixtures give your tresses a punch of color, but the all-natural color will keep your hair healthy and strong. A common temporary hair color alternative is Kool-Aid, which comes powdered and stored in small packets that can be mixed with water to form a paste. However, you can also use Kool Aid to create colored hair gel that can be washed out at the end of the day. 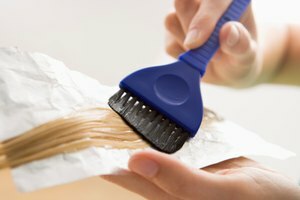 Keep in mind that colored hair gels work best on lighter hair. You will need a bottle of non-tinted hair gel, some one-ounce plastic bottles or cosmetic jars and a mixing stick. Clear hair gel can often be purchased in bulk for a discount, so feel free to purchase several different flavors of Kool-Aid to create a few different colored gels. Make sure the Kool-Aid you are using is either unsweetened or contains an artificial sweetener. Kool-Aid packets typically do not come sweetened. Begin by squeezing gel into the empty plastic bottles or cosmetic jars. Fill them about three-quarters of the way from the top. Add the desired flavor of Kool-Aid to each bottle. For example, strawberry or cherry Kool-Aid will turn your hair red, while blue-raspberry will turn your hair blue. You may need a few packets of each flavor for each individual bottle. Mix each packet into the gel with the mixing stick until completely blended. Keep adding Kool-Aid until the gel is nearly opaque, then store in the refrigerator. Flavored gelatin can also be used as a hair gel with temporary color. Before choosing a color, keep in mind that the gelatin needs to be unsweetened or contain an artificial sweetener. Otherwise, the sugar in the gelatin mix will be sticky and unmanageable. 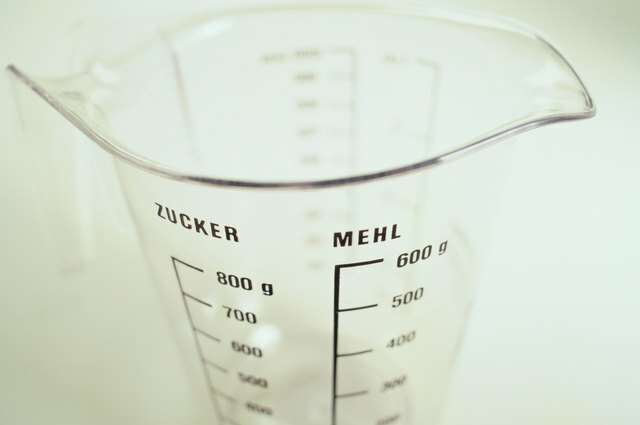 Add about a teaspoon of gelatin mix to a cup of warm water. Mix thoroughly until the gelatin powder is completely dissolved, then refrigerate the mixture until it solidifies. Use the gelatin as you would any other hair gel. Food coloring is another type of natural color that can be added to hair gel to produce temporary color. (ref 1) Keep in mind that food coloring is very potent, and can be difficult to remove from skin, hair and clothing. If you use food coloring in hair gel, it may “stick” to your hair, creating a faded color effect on your locks. Add several drops of food coloring to clear hair gel and mix until the gel is nearly opaque. It is not necessary to store this in the refrigerator.